The rapidly changing battlefield landscape is shaped by technological advances and ever-advancing peer actors. That means the military must make adjustments to be able to compete and dominate in futuristic operating environments. While the services are all pursuing multi-domain battle concepts, or seamless operation and coordination across the five domains of warfare, forces organized around the military's newest domain of warfare ― cyber ― are also reevaluating their posture as they are being formed. One example is the Marine Corps. The service wants to reorganize the way Marines fight in future operating environments with what the commandant has called the Force, outlined in the recent operating strategy. This involves tying cyber operations with similar lines of effort, such as operations in the electromagnetic spectrum and information operations, under the new Marine Expeditionary Force Information Group. "We've created new formations; we've changed some formation in the [Marine Air Ground Task Force]. How do you bring together cyberspace, electronic warfare, information operations, command and control, and intelligence functions all together to best support the senior operational commanders out there?" Maj. Gen. Lori Reynolds, commander of Marine Corps Forces Cyber Command, asked April 4 at the Navy League's Sea Air Space Symposium. "We have a path; we have the new Marine Corps structure to get after this. We're starting to implement that now after a year of designing it." Reynolds told C4ISRNET following her presentation that this effort is similar to what the Army is doing with its new cyber directorate at the Pentagon that fits cyber, electronic warfare, information operations and everything in between under one hat. "That's exactly what we're trying to get at ― bring all those elements together, dominate the information environment when we have to," she said. "I think all the services are trying to tackle this in different ways. The Army has done a lot of work at the brigade and below," bringing these effects to the tactical edge. To Reynolds’ point regarding the services pursuing similar lines of effort, there are numerous examples of cyberspace and electromagnetic spectrum operations converging. Within the Marine Corps today, "right now they’re separated but if you look at that MEF Information Group and as we look at our information warfare capability as that’s coming in, the commandant is looking at the trade space between how closely aligned is all aspects of the spectrum, if you will ― from cyber to electronic warfare," Gregg Kendrick, executive director or MARFORCYBER, told C4ISRNET March 30. 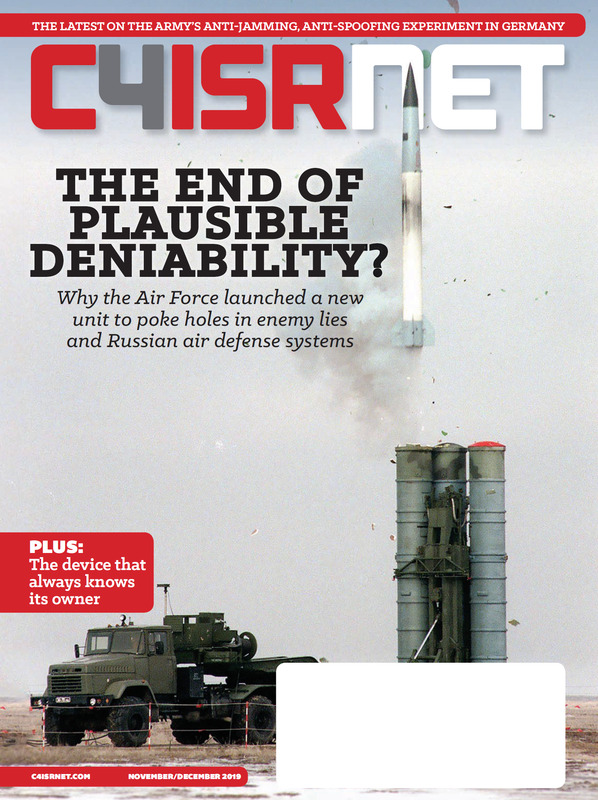 What can those other capabilities enable or offer to the joint war fighter? The Marines are working on that, Kendrick said. "There are proposals to combine those under one organizational construct that would harness that power and move it forward, which would include the aviation side as well as the ground side ... because you have the capabilities on all platforms." Regarding MARFORCYBER’s specific role in the new MEF Information Group, Reynolds said they will provide some talent to it, especially on the defensive side. Reynolds said there is a command and control relationship between MARFORCYBER and the companies being built inside the MEFs. "As the organization that has to know all of the maneuver that has to happen on the network, as we add maneuver elements to the MAGTF, I have to know that. So how we think about coordinating what those teams are doing is some of the work to be done," she said. "We’re building defensive cyber into the MEF with our communications battalions but attached through the MEF Information Group. That is help for us." These would be defensive cyber forces oriented to the MEF aspects, an effort that closely aligns with the Army’s efforts to merge cyber capabilities within traditional military maneuver units. The Marines are also following the Army in establishing a cyber MOS. This aligns not only with Reynolds' third line of effort as the commander of MARFORCYBER to provide relevance back into the cyber force, but it also attempts to leverage the investment made in training cyber forces to retain them in a cyber field for the duration of their career. 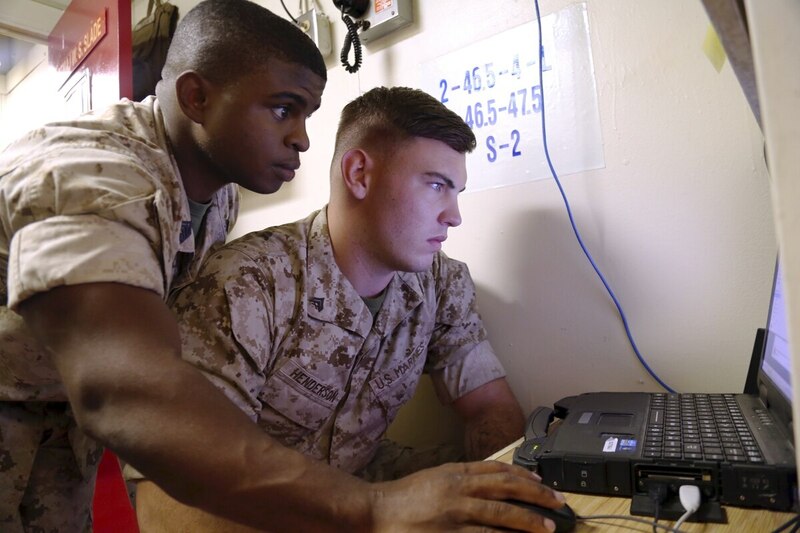 While funds are somewhat limited, and the Marines are a small force, Kendrick said they will be receiving a plus up from the other services in terms of resources to "energize MARFORCYBER and optimize the CMF teams that we provide to the joint force and help grow that service capability under the Force 2025 construct." However, details regarding the plus up ― be it uniformed or civilian personnel ― are still being determined. Reynolds said there is no date set for initial operational capability of the MEF Information Group, but they are working to get this online. The first part is putting the talent in place, she said, followed by building the formations. Some experiments, Kendrick explained, involve integration into large-scale exercises with both I MEF and II MEF to help drive the future construct for Force 2025. He said MARFORCYBER provides the MAFTF commander education, capabilities and protection teams during these large-scale exercises. In fact, during an exercise last year at I MEF, he said they were able to work with Navy cyber protection teams in portions of the I MEF network, "so we actually even brought in a little bit of a joint or a naval aspect to that."